The periodic table just got a little bigger after scientists added the names of four new elements, completing the seventh row of the chart. 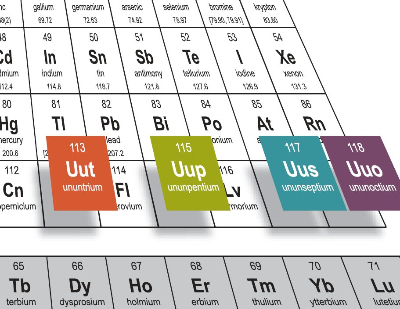 In naming elements 113, 115, 117 and 118, the International Union of Pure and Applied Chemistry settled on names based on the locations where elements were discovered or researchers who helped find them. 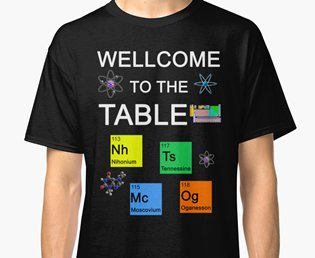 Knappily welcomes Nihonium, Moscovium, Tennessine and Oganesson to the high table. What are the new arrivals called? 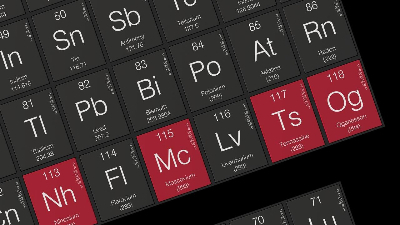 The new arrivals are called Nihonium (Nh), Moscovium (Mc), Tennessine (Ts), and Oganesson (Og) for elements 113, 115, 117, and 118 respectively. So far they were being referred to by their numbers in the table. Teams of researchers from the US, Russia, and Japan have all been credited with the discovery of these new elements, so have been given the naming rights - which come with some very specific criteria. Here is why they are called what they are called. Nihonium is derived from "Nippon", a Japanese word for Japan, and Moscovium honours the Russian capital city, Moscow. Tennessine is named after the state of Tennessee, known for its pioneering research in chemistry. 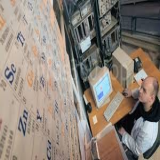 "Tennessine is in recognition of the contribution of the Tennessee region, including Oak Ridge National Laboratory, Vanderbilt University, and the University of Tennessee at Knoxville, to superheavy element research," says the IUPAC. This marks the second US state to be honoured on the periodic table, the first was California, referenced by californium (element 98), which was discovered in the 1950s.Hassium (element 108), was named after the German state of Hesse. Oganesson is named after 83-year-old Russian physicist Yuri Oganessian, and according to Richard Van Noorden from Nature, this is only the second time a new element has been named for a living scientist. The previous such element was 106, named as seaborgium in the honor of Glenn Theodore Seaborg, whose involvement in the synthesis, discovery and investigation of ten transuranium elements earned him a share of the 1951 Nobel Prize in Chemistry. Nihonium is the first element to be discovered in an Asian country. 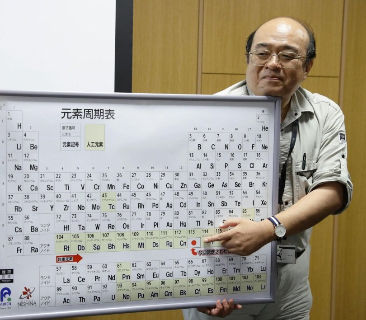 With the research led by Kosuke Morita from the RIKEN Nishina Center for Accelerator-Based Science, Asia is finally an official contributor to the periodic table. As of now, elements have yet come out of laboratories in Oceania or Africa. Nihonium is dubbed after “Nihon,” the Japanese word for Japan. Most recently, production and identification of another Nh nucleus occurred at RIKEN on August 12, 2012. When was the Periodic Table first organized? In 1817, Johann Wolfgang Döbereiner began to formulate one of the earliest attempts to classify the elements. In 1829, he found that he could form some of the elements into groups of three, with the members of each group having related properties. He termed these groups triads. The Russian chemist Dmitri Mendeleev was the first scientist to make a periodic table similar to the one used today. Mendeleev arranged the elements by atomic mass, corresponding to relative molar mass. 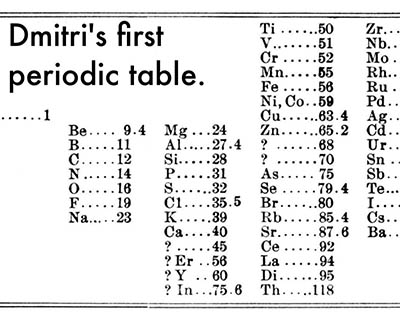 On March 6, 1869, a formal presentation was made to the Russian Chemical Society, entitled The Dependence Between the Properties of the Atomic Weights of the Elements. Unknown to Mendeleev, a German chemist, Lothar Meyer, was also working on a periodic table. Although his work was published in 1864, and was done independently of Mendeleev, few historians regard him as an equal co-creator of the periodic table. In 1864, the English chemist William Odling also drew up a table that was remarkably similar to the table produced by Mendeleev. 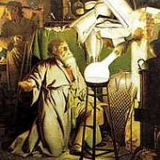 Odling overcame the tellurium-iodine problem and even managed to get thallium, lead, mercury and platinum into the right groups, which is something that Mendeleev failed to do at his first attempt.Odling failed to achieve recognition, however, since it is suspected that he, as Secretary of the Chemical Society of London, was instrumental in discrediting Newlands' earlier work on the periodic table. Where will the newcomers go to? The four new elements have completed the seventh row of the Periodic Table. 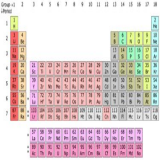 The table is laid out in rows to illustrate recurring (periodic) trends in the chemical behaviour of the elements as their atomic number increases: a new row is begun when chemical behaviour begins to repeat, meaning that elements with similar behaviour fall into the same vertical columns. 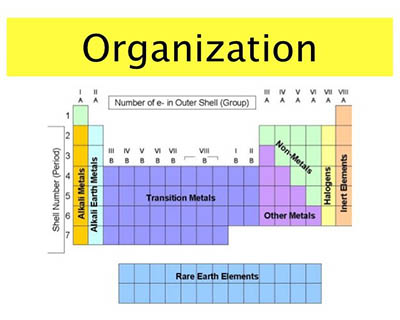 The seventh period contains 32 elements, tied for the most with period 6, beginning with Francium and ending with Oganesson, the heaviest element currently discovered. Talking High School chemistry, as a rule, period 7 elements fill their 7s shells first, then their 5f, 6d, and 7p shells, in that order; however, there are exceptions, such as uranium. All elements of period 7 are radioactive. This period contains the actinides, which contains the heaviest naturally occurring element, plutonium; subsequent elements must be synthesized artificially. Who gets to name the elements? 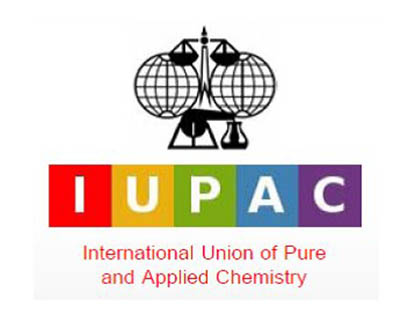 Once a group has found a new element, they submit their findings to the International Union of Pure and Applied Chemistry (IUPAC). This is the organisation responsible for standardising weights, measures, element names and symbols. After IUPAC verify the result, only then are the element hunters invited to suggest a name and symbol for their newly-discovered element. In the 1960s, IUPAC got caught up in the transfermium wars. At the height of the cold war, the Lawrence Berkeley Laboratory, US, and the Joint Institute of Nuclear Research in Russia tussled over who discovered elements 104, 105 and 106 and who should name them. The US declared element 104 would be called rutherfordium and Russia argued it should be named kurchatovium.The situation got so bad that both names ended up being used colloquially in different parts of the world. In 2002, IUPAC recommended that any new metallic element must end with the suffix ‘ium’ – as in chromium or titanium. But the organisation wasn’t prepared for research groups discovering elements beyond group 16 in the periodic table. IUPAC revised this guideline in 2015, stating new elements in groups 17 should end in ‘ine’ – as fluorine and chlorine do – and ‘on’ for group 18 elements – as in neon and argon. Specific regions of the periodic table can be referred to as blocks in recognition of the sequence in which the electron shells of the elements are filled. Each block is named according to the subshell in which the "last" electron notionally resides. The s-block comprises the first two groups (alkali metals and alkaline earth metals) as well as hydrogen and helium. The p-block comprises the last six groups, which are groups 13 to 18 in IUPAC group numbering (3A to 8A in American group numbering) and contains, among other elements, all of the metalloids. The d-block comprises groups 3 to 12 (or 3B to 2B in American group numbering) and contains all of the transition metals. The f-block, often offset below the rest of the periodic table, has no group numbers and comprises lanthanides and actinides.